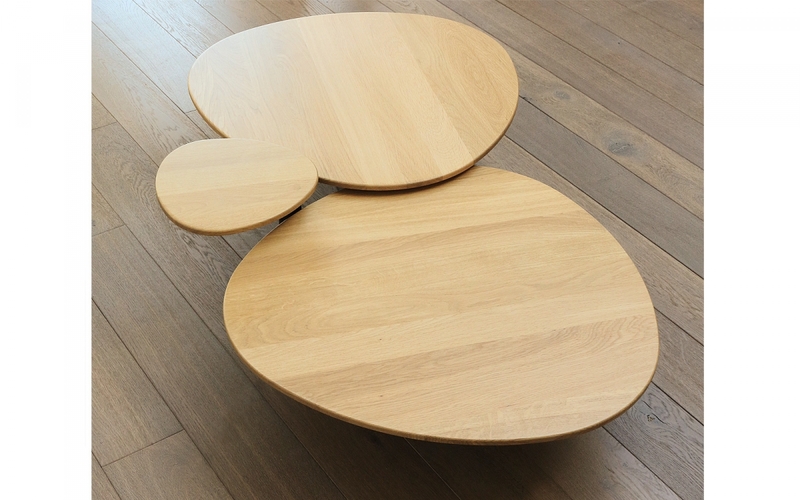 Indoor coffee table. 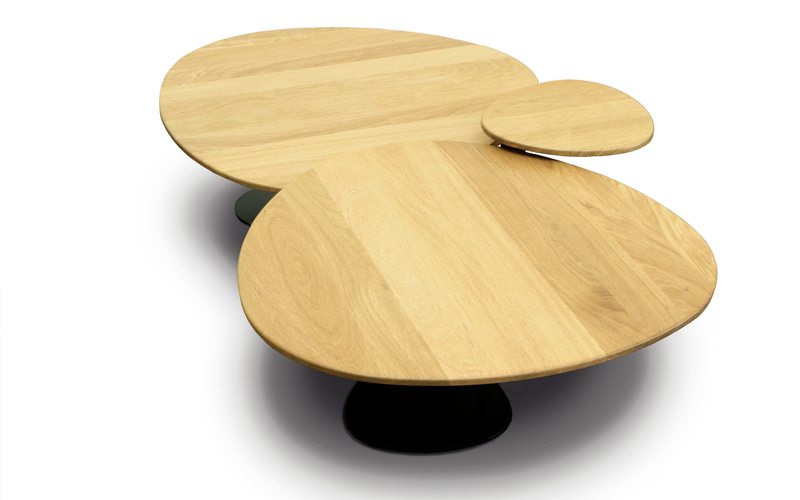 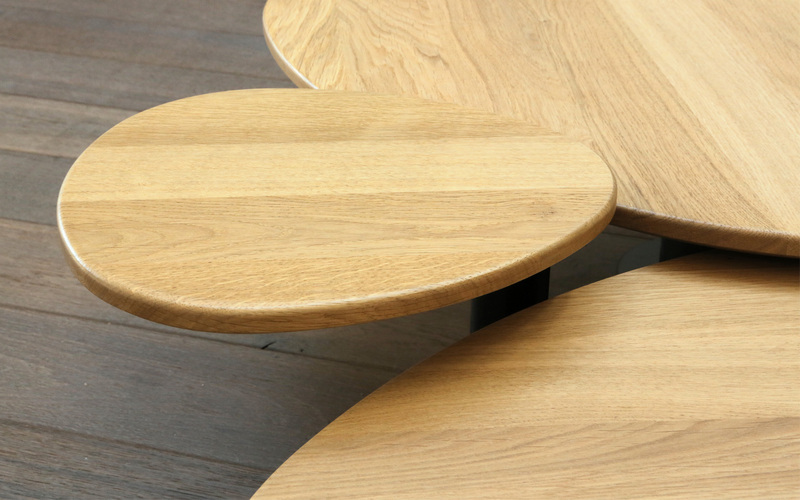 Solid oak table tops, foot made of steel coated with baked polyester powder finish. 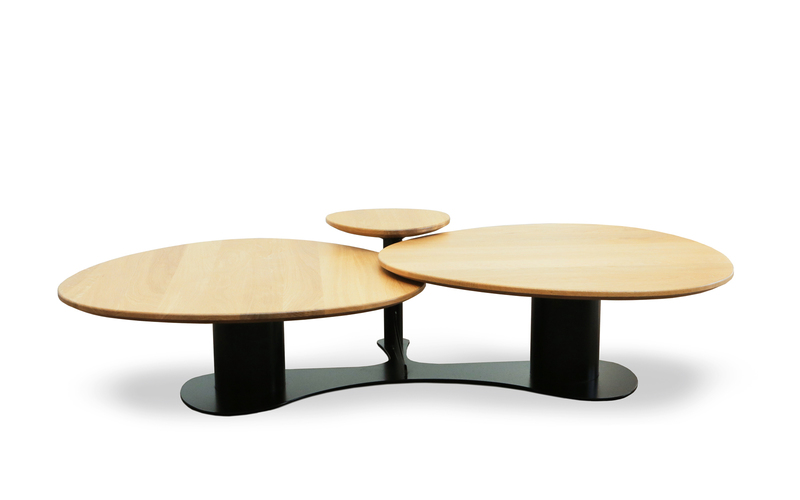 > Colors : Natural oak table tops, foot Black or White.